Bucket Filling & Team Building & MINDSETS, Oh My! Greetings from your Student Life Coordinator/School Counselor! Here is what is and has been happening in Stanton Time K-5! Kindergartners have started working on an Active Listening Unit - they have been introduced to a fun new song and are learning about the importance of listening: so others feel heard and cared for, so that we can learn new things, and so we are safe! These little people are terrific listeners already and will continue to learn about and practice some the Lyme School Values: Compassion, Respect, and Responsibility. The 1st, 2nd, and 3rd graders just wrapped up their bucket-filling unit. A very fun few lessons indeed! We explored how everyone has an imaginary bucket and how we can do things to fill buckets (being helpful, including peers at recess, sharing, being responsible, helping out at home, saying kind and honest things, etc.) rather than dip from buckets. Through drawing and words, 1st graders showed and explained how they will personally fill buckets in their classroom, at home, during specials, at recess, and in their community! They came up with some really thoughtful and cool ways to be bucket fillers! Our super 2nd graders from Mrs. Kuolt’s class were involved and cooperative community members by working in pairs to make our specials staff (P.E., art, music, Spanish, etc.) their very own buckets and wrote how they will fill these teachers’ buckets during class. Students really enjoyed delivering these to their teachers! Our 3rd graders showed their compassion toward our Lyme School community members by making personal buckets for Kindergarten, 1st, 2nd, 3rd-grade teachers and support staff, as well as Chef Larry, our SAU business office staff, administrators, our amazing custodial staff, Miss Denby, and Miss Patience! Staff LOVED receiving these directly from students and 2nd and 3rd graders felt the authentic power of how when you fill someone else’s bucket, your bucket gets filled too! Ask your students about it! You can always use the concept of bucket-filling at home if they need some reminders or affirmation, they are experts on the topic! Our 3rd and 5th graders have started their unit on MINDSETS. We are exploring growth and fixed mindsets and all about our incredible flexible brains! Second graders are learning about how our brains grow (our neural connections become stronger) when we do hard things. We are learning how mistakes help us learn, and how finding and fixing our mistakes make our brain even stronger. Third graders, who have already had some lessons on the brain in Mrs. Gautreau’s class, will explore neuroplasticity and rotate through some mindset stations to further their understanding of growth (bubblegum brain) vs. fixed (brick brain) mindset. 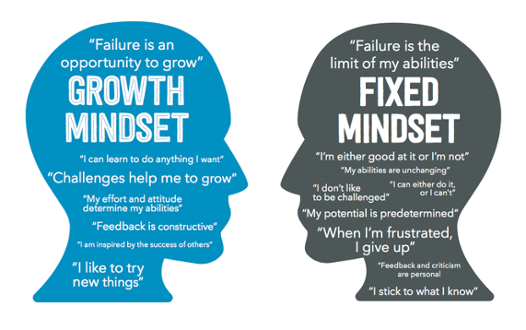 The ultimate goal is for them to notice in situations which mindset helps them to be the best student, friend, and kid they can be and they have the power to change their mindset! Fourth graders have been working together, exploring communication and how to work effectively as a whole class team. We will continue our unit of community team building looking at how our attitude and effort play into our group and individual successes. In a few weeks we will start a program called “Changing Perspectives” which endeavors to engage students in open dialogues and real-world experiences in an effort to promote disability awareness and foster inclusive communities. It has been such a delight to learn and work with students in their classroom. Mrs. D and I are also planning a super fun day for our lower school friends in late November. Stay tuned…!